Rainbow Rare Earths remains optimistic for the year ahead despite significant production challenges in 2018. Sound complicated? While the rare earths space is undeniably complex, many investors find it compelling and are interested in finding ways to get a foot in the door. Read on for a more in-depth look at the rare earths market and the many different REEs, plus a brief explanation of how to start investing in the sector. As mentioned, each REE has different pricing and supply and demand dynamics. However, there are definitely overarching supply and demand trends in the sector. Perhaps most notably, China accounts for the vast majority of the world’s rare earths supply. It produced 105,000 MT of rare earths in 2016, with Australia coming in a very distant second at 14,000 MT. The move sparked a boom in exploration for rare earths outside of China, but many companies that entered the space at that time fell off the radar when rare earths prices eventually fell again. Molycorp (OTCMKTS:MCPIQ), once North America’s only producer of rare earths, is one notable failure in the drive to produce the metals outside of China. It filed for bankruptcy in 2015. The overhaul of the sector is expected to continue during the 13th Five-year Plan, which will run from 2016 to 2020. As part of its efforts to curb illegal rare earths mining, China announced at the end of 2016 that it would limit its annual rare earths output to 140,000 MT by 2020. In terms of demand, Adamas Intelligence, a rare metals research firm, notes in a recent report that the rare earths market has “endured a wealth of demand destruction” since 2011. In the five years since then, upwards of 30,000 MT of rare earth oxide demand were lost annually due to concerns from end users about supply security. That said, the firm believes demand for rare earths will boom from 2020 onwards as growth rates for top end-use categories, including electric vehicles and other high-tech applications, accelerate. For that reason, the easiest and most direct way to invest in rare earths is through mining and exploration companies. While many such companies are located in China and are not publicly traded, there are still some that are accessible. 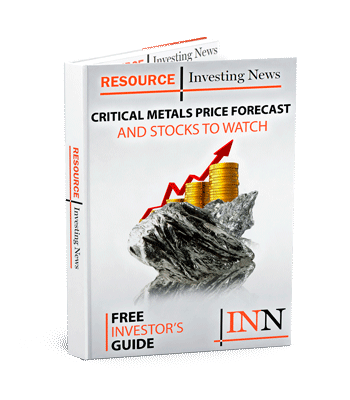 Here is a list of rare earths-focused companies trading on the TSX, TSXV and ASX; all had market caps of over $50 million as of April 6, 2017: Alkane Resources (ASX:ALK), Greenland Minerals and Energy (ASX:GGG), Hastings Technology Metals (ASX:HAS), Lynas (ASX:LYC), Midland Exploration (TSXV:MD), Northern Minerals (ASX:NTU), Peak Resources (ASX:PEK), Ucore Rare Metals (TSXV:UCU) and Wealth Minerals (TSXV:WML). Some small-cap REE companies are also listed on those exchanges. Here’s a list of TSX-, TSXV- and ASX-listed rare earths companies that had market caps of less than $50 million as of April 6, 2017: Arafura Resources (ASX:ARU), Avalon Advanced Materials (TSX:AVL), Canada Rare Earth (TSXV:LL), Commerce Resources (TSXV:CCE), GeoMegA Resources (TSXV:GMA), Medallion Resources (TSXV:MDL), Matamec Explorations (TSXV:MAT), Orion Metals (ASX:ORM), Pele Mountain Resources (TSXV:GEM), Rare Element Resources (TSX:RES) and Search Minerals (TSXV:SMY).